Riverhead Books, 2018. 189 pages. Here’s another short book by Anne Lamott, musing about life and grace and hope. And there’s no one whose musings I enjoy as much. What is this one about? Well, she frames it with the writing advice she gives to classes of adults and classes of six-year-olds. It’s things she’s learned about life – and she has learned many wise things by now. I love the realistic humor Anne Lamott brings to things. She tells stories about being imperfect, about being impatient, and about others being imperfect and impatient. Anne Lamott helps me delight in being human. She helps me take joy and delight in life. She helps me do more laughing – especially at myself. 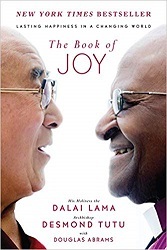 My recommendation is check the quotes from this book I’ve posted on Sonderquotes. (Little by little I’ll get them posted. If there aren’t many when you check, here are my other Anne Lamott quotes.) If you like these small tastes of her writing, get the book to enjoy the whole banquet. Alfred A. Knopf, New York, 2015. 45 pages. This tiny book is short, but lovely. 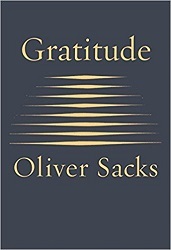 It contains four essays Oliver Sacks wrote in the last two years of his life. When he wrote the first one, “Mercury,” about turning eighty, he didn’t know that cancer was soon to come back into his life and limit that life. But it fits beautifully with the others, about what’s important in life, and aging, and facing the end of life with gratitude. And now, weak, short of breath, my once-firm muscles melted away by cancer, I find my thoughts, increasingly, not on the supernatural or spiritual but on what is meant by living a good and worthwhile life – achieving a sense of peace within oneself. I find my thoughts drifting to the Sabbath, the day of rest, the seventh day of the week, and perhaps the seventh day of one’s life as well, when one can feel that one’s work is done, and one may, in good conscience, rest. 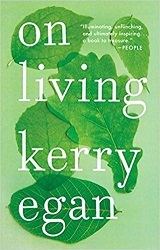 This book won’t take much of your time, but it will lift your spirits and perhaps get you thinking about what it means to live life well. She didn’t actually convince me. I’m an introvert; I’m not going to do her exercises. For that matter, my job at the library involves talking with strangers — and helping them — every single day. So to think a little more deeply about what’s going on when that happens was good. In these pages we’ll explore why talking to strangers is good for you. 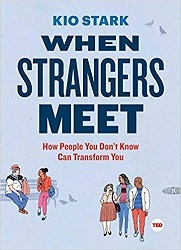 We’ll investigate how it’s possible for people to open themselves to even the briefest conversations with strangers and the fascinating dynamics of how they do it. What does it take to say a simple hello to a stranger you pass on the street? How might that interaction continue? What are the places in which you are more likely to interact with people you don’t know? How do you get out of a conversation? These sound like easy questions. As you’ll see, they are not…. This is a book about talking, and it’s also a book about seeing, listening, and being alert to the world. I want to show you how lyrical and profound our most momentary connections can be, to broaden your understanding and deepen your perception of people who are strangers to you. I want you to see the invisible mechanics and meanings of street interactions. I want to give you a new way to be in love with the world. Workman Publishing Company, 2012. 152 pages. The artist is a collector. Not a hoarder, mind you, there’s a difference: Hoarders collect indiscriminately, artists collect selectively. They only collect things that they really love. As much as I love collecting quotations and writing book reviews, it’s not a surprise I love this idea. Always be reading. Go to the library. There’s magic in being surrounded by books. Get lost in the stacks. Read bibliographies. It’s not the book you start with, it’s the book that book leads you to. Partly why I say this is for young adults is Thing Two: “Don’t wait until you know who you are to get started.” It’s still good advice at age 53, but I have more of an idea than I did in my twenties. The format of the book is such that it’s a great book to pull out and read a bit each morning to start your day with some inspiration. I tend to get such books read much more quickly than books that need a significant stretch of time in order to absorb them. There are lots more good ideas for being creative for people of any age and place in their journey. 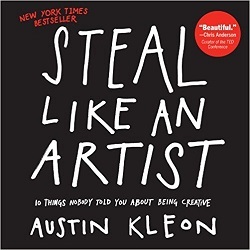 I will probably give this book to my young adult children, who each have a creative side. And I’m storing away some of the advice to appropriate into my own life. Alfred A. Knopf, 2017. 63 pages. 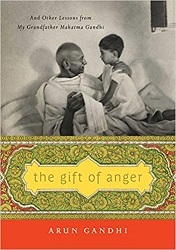 This book is short – which makes it perfect for reading a little bit at a time, one suggestion per day. 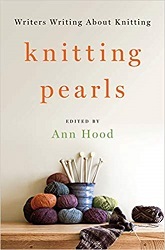 This would make a lovely gift for mothers of young girls. But I had spoken publicly about feminism and perhaps that made her feel I was an expert on the subject. I had over the years also helped care for many babies of loved ones; I had worked as a babysitter and helped raise my nephews and nieces. I had done a lot of watching and listening, and I had done even more thinking. In response to my friend’s request, I decided to write her a letter, which I hoped would be honest and practical, while also serving as a map of sorts for my own feminist thinking. This book is a version of that letter, with some details changed. Now that I, too, am the mother of a delightful baby girl, I realize how easy it is to dispense advice about raising a child when you are not facing the enormously complex reality of it yourself. Still, I think it is morally urgent to have honest conversations about raising children differently, about trying to create a fairer world for women and men. My friend sent me a reply saying she would “try” to follow my suggestions. And in rereading these as a mother, I, too, am determined to try. And the fifteen suggestions she gives are good ones. Her style is personal and friendly, since the letter was written to a friend. Above all, it’s inspiring – and makes me think about my own interactions with people. Be a full person. Motherhood is a glorious gift, but do not define yourself solely by motherhood. Teach Chizalum to read. Teach her to love books. The best way is by casual example. If she sees you reading, she will understand that reading is valuable…. Books will help her understand and question the world, help her express herself, and help her in whatever she wants to become – a chef, a scientist, a singer, all benefit from the skills that reading brings. Never speak of marriage as an achievement. Find ways to make clear to her that marriage is not an achievement, nor is it what she should aspire to. A marriage can be happy or unhappy, but it is not an achievement. We condition girls to aspire to marriage and we do not condition boys to aspire to marriage, and so there is already a terrible imbalance at the start. The girls will grow up to be women preoccupied with marriage. The boys will grow up to be men who are not preoccupied with marriage. The women marry those men. The relationship is automatically uneven because the institution matters more to one than the other. Teach her to reject likeability. Her job is not to make herself likeable, her job is to be her full self, a self that is honest and aware of the equal humanity of other people…. We have a world full of women who are unable to exhale fully because they have for so long been conditioned to fold themselves into shapes to make themselves likeable…. Show her that she does not need to be liked by everyone. Tell her that if someone does not like her, there will be someone else who will. Teach her that she is not merely an object to be liked or disliked, she is also a subject who can like or dislike. In her teenage years, if she comes home crying about some boys who don’t like her, let her know she can choose not to like those boys – yes, it’s hard, I know, just remembering my crush on Nnamdi in secondary school. But still I wish somebody had told me this. Teach her that to love is not only to give but also to take. This is important because we give girls subtle cues about their lives – we teach girls that a large component of their ability to love is their ability to sacrifice their selves. We do not teach this to boys. Teach her that to love she must give of herself emotionally but she must also expect to be given. Teach her about difference. Make difference ordinary. Make difference normal. Teach her not to attach value to difference. And the reason for this is not to be fair or to be nice, but merely to be human and practical. Because difference is the reality of our world. And by teaching her about difference, you are equipping her to survive in a diverse world. She must know and understand that people walk different paths in the world, and that as long as those paths do no harm to others, they are valid paths that she must respect. Teach her that we do not know – we cannot know – everything about life. Both religion and science have spaces for things we do not know, and it is enough to make peace with that. 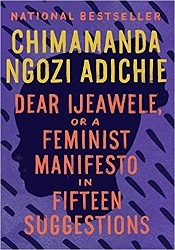 Come to think of it – this book is great reading even if you aren’t the mother of a young girl. It’s inspiring, encouraging, and thought-provoking. Riverhead Books, 2017. 176 pages. I do love Anne Lamott. She’s down-to-earth and real. She admits to all kinds of uncharitable thoughts – and then shows us that they can be overcome with mercy. She does away with pretense and helps me stop trying to do the same. Just to hear the words “mercy” or “merciful” can transform the whole day, because as the old saying goes, the soul rejoices in hearing what it already knows. Something lights up in me. We know mercy is always our salvation – as we age, as our grandchildren go down the same dark streets that called to their parents, as the ice caps melt. But I wish it was something else. I wish it was being able to figure things out, at which I am very good, or to assign blame, at which I am better, or to convince people of the rightness of my ideas. I wish it was a political savior who believes the same things I believe, who possesses the force of great moral strength that (of course) agrees with my own deepest values. But no, hope of renewal and restoration is found in the merciful fibrillating heart of the world. Anne Lamott will make you smile and make you think and make you look at the world with a little more mercy.